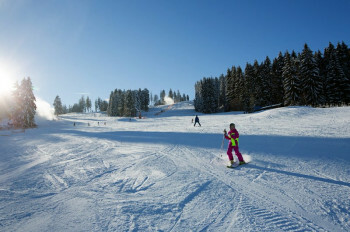 With ever-increasing prices in the Alps, ski holidays in Czech Republic are booming. 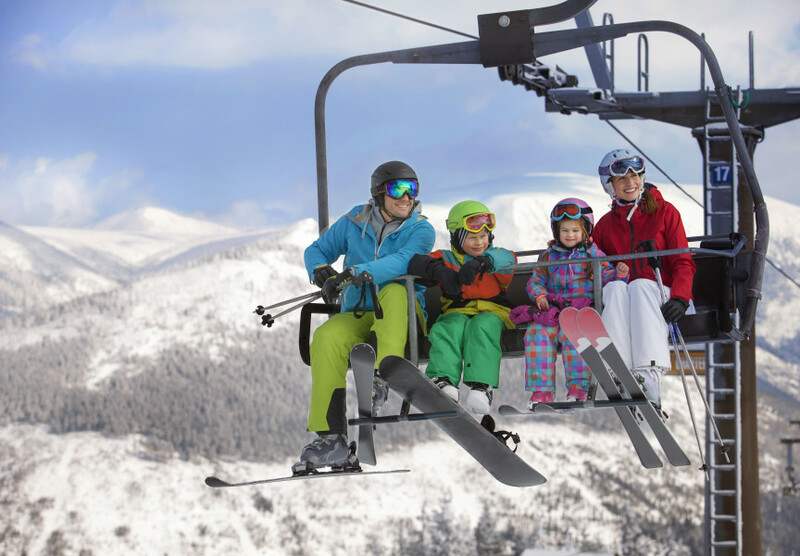 Well groomed slopes, terrain parks, cross-country tracks and toboggan rides make for diverse winter fun at the various mountain regions of the country. And all of that for a reasonable price. These three resorts are among the ski centres in Czech Republic you don't want to miss. 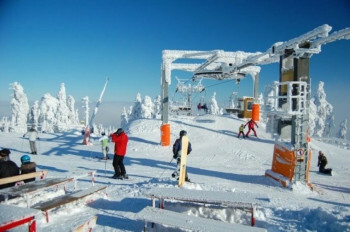 Ever since its connection to Bozí Dar - Neklid, Klínovic is the largest ski centre in Czech Republic. 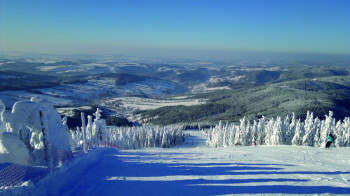 The ski resort of Klínovec in the Czech Erz Mountains is located right by the German border. Furthermore, it is now the largest ski area in the country. Since the beginning of the season, you can explore the neighbouring ski area of Bozí Dar - Neklid without even having to take off your skis or buy a new ticket. From now on, the two resorts are seamlessly connected! You can look forward to a total of 31 kilometres (19.3 miles) of slopes, the newly refurbished Cool-Fun-Park at Klínovec as well as Snowpark Neklid, one of the oldes terrain parks in Czech Republic. If that's not enough, German-Czech cooperation at the International Ski Region Klínovec-Fichtelberg gives skiers the opportunity to extend their adventures to a total of 47 kilometres (29.2 miles). © Czech Tourism Rokytnice in the Giant Mountains is the country's fifth largest ski resort. Dare to venture into the lands of Guardian Rübezahl, the mountain spirit of the Krkonoše Mountains (Giant Mountains), where you will find seven of Czech Republic's ten highest mountains. With a total of 171 kilometres (106.3 miles) of slopes at 25 ski resorts, winter sports enthusiasts really get their money's worth. We recommend you check out Rokytnice nad Jizerou, the fifth largest resort in the country. Lots of wide slopes with stunning views of the peaks of Krkonoše await you. Craving some adrenaline? Rokytnice also has a nice terrain park. Whether you're looking for pleasurable carving on the reds, or your little ones are just taking their first steps on skis - this ski area has plenty to offer for anyone. © Czech Tourism At Lipno, beginners have enough space to take their first swings on skis. 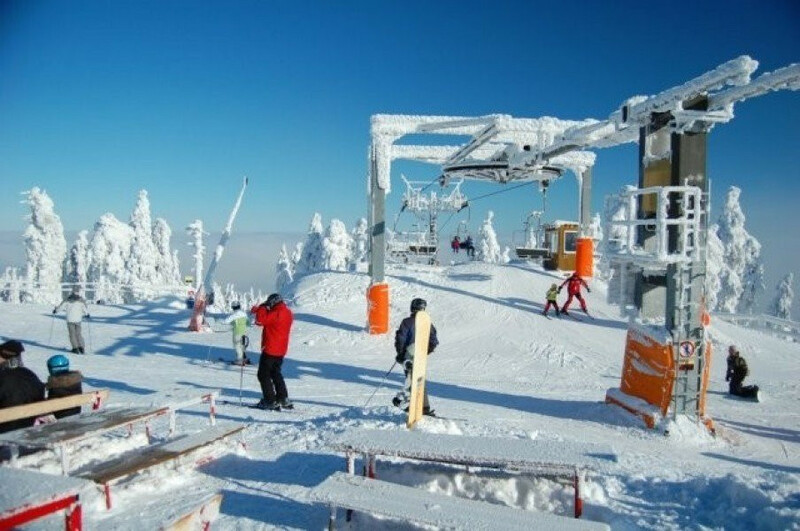 The ski area of Lipno in the Bohemian Forest is the perfect destination for a family holiday. On 12 kilometres (7.5 miles) of slopes, beginners of all ages find enough space to try out their first swings. Furthermore, the skicross run has been extended to include two tracks as well as a tunnel this season. While the kids have fun with mascot Fox on the kids run, grown-ups enjoy some peace and quiet at one of the restaurants on the top lift station. A visit at the canopy pathway (open year round!) or a few laps on the world's longest natural ice rink make your winter holiday complete. Enjoy variety and perks of 23 Czech ski resorts, with the Czech Skipass. It is valid at popular ski areas in the Giant Mountains, the Erz Mountains, the Bohemian Forest, and the Beskids. With the Czech Skipass you gain access to 175 different lifts, getting you to more than 200 kilometres (124.3 miles) of slopes. For further information, visit the website of Czech Tourism.